The Cybex VR3 dip and chin assist, contrary to other similar machines, operates from standing to standing position which is much more comfortable and accessible than kneeling position or going from kneeling to standing position. With a 138kg (305lbs) weight stack and up to 51kg (112lbs) of assistance, the machine should meet the needs of the typical user who aspires to perform pull-ups and dips. It also allows for performing dips or pull-ups without assistance as the foot bar easily flips up to accommodate the unassisted motion. 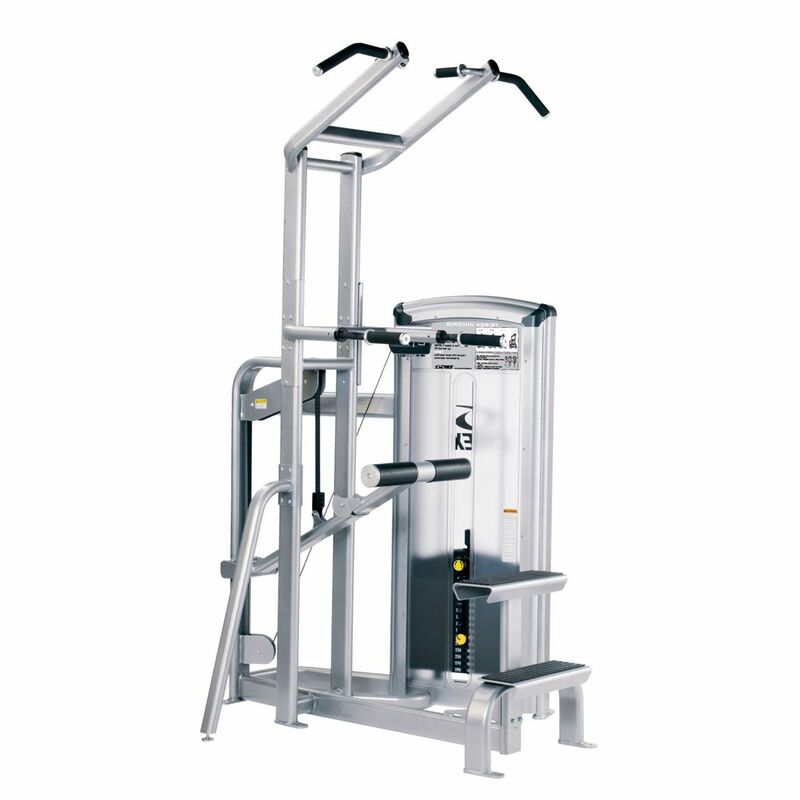 To further enhance the comfort during workout, the machine is equipped with "extra-sized" dip grips in dual grip positions that allow for greater variety of movements. The pull-up bar provides a choice between bar and neutral grips. for submitting product review about Cybex VR3 Dip and Chin Assist.